Your reactions to the news may have more to do with you than you realize. An event unfolded recently at the Lincoln Memorial that captured the attention of the news and social media. Various videos of the event depict a Caucasian high school boy wearing a MAGA hat standing nose-to-nose with a Native American elder who was drumming and chanting an American Indian Movement song. In short time, news outlets and the Twitterverse exploded with interpretations as to the meaning of this highly charged event. These interpretations spanned the full spectrum of political stances. On one hand, the elder was seen as a victim of unabashed white privilege; on the other hand, the boy was viewed as the innocent who was in the wrong place at the wrong time. I am not a political commentator, but I am a psychologist. So when I saw the term “Rorschach test” my psychological antennae started to twitch. In the early 1920s, psychologist Hermann Rorschach wrote his dissertation in which he described developing the world’s first projective test of personality. The test items were ambiguous shapes formed by dripping ink on a sheet of paper. What could be more random than an inkblot? Repressed motives and memories may find symbolic expression during our waking moments or even our nightly dreams. How is it possible that people can impose meaning on an otherwise meaningless shape? For psychoanalysts the explanation lies in the defense mechanism known as “projection” (hence the term projective test). This refers to the process whereby elements of the unconscious are symbolically transferred to external subjects such as an object or person. Accordingly, repressed motives and memories may find symbolic expression during our waking moments or even our nightly dreams. Our capacity to engage in projection gives rise to the common experience of seeing animal shapes in cloud formations or seeing constellations in the starry skies. Carl Gustav Jung took this one step further. In 1959, he published the monograph “Flying Saucers: A Modern Myth of Things Seen in the Skies.” He wrote this essay largely in response to the outbreak of UFO sightings that first began with reports from Roswell, New Mexico, in 1947. For Jung, flying saucers are mandalas (circular shapes) that are archetypal projections of one’s search for life’s meaning and personal closure. Remember, Americans living in the immediate post-World War II era were psychically scared by the deaths of millions of people, the nascent atomic age, and the threat of a cold war with the Soviet Union. In this troubling environment it became increasingly imperative for Americans to search for life’s meaning as they tried to find their place in this new world order. The result was that people started to project their unconscious motives unto objects in the skies. For Jung, the skies had became an enormous ink blot onto which spilled the angst of a troubled society. Consequently, we can understand that the myriad interpretations of the MAGA hat event are propelled by the dynamic unconscious of the viewing public. 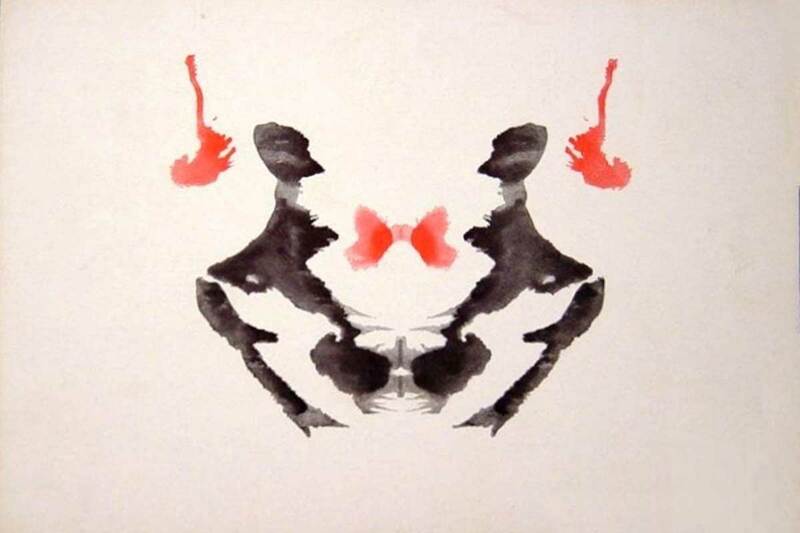 While the video doesn’t depict random shapes like an inkblot, it does present the viewer with an ambiguous image involving two strangers experiencing a strange relationship. This ambiguity provides our unconscious the opportunity to give meaning and interpretation to something that is unknown to us. So what do you see when you view the video? The answer may have more to do with you than you realize. Alvin Wang resumed his role as a professor in the University of Central Florida’s Department of Psychology this year after serving 11 years as dean of the Burnett Honors College. He can be reached at Alvin.Wang@ucf.edu.